Our "Pickleball Tutor" ball machine has arrived! It benefits players of all levels from beginners to very skilled. Before you use it please read the Owner's Manual. If you really want someone to show you how to use it you can ask other players or call John Strother at 4511. Please be aware that the Tutor can hurt you! Never look down the chute from close up. The ball can come out at 50 miles an hour. You could lose an eye, a tooth or break your nose!! It's like looking down the barrel of a gun. Be careful any time you're passing closely in front of the machine. Never stick your hand down the chute when it's on. Do not use when wet. Do not put wet balls in the Tutor. 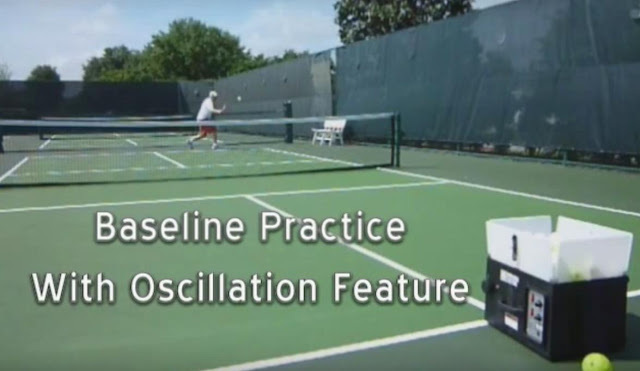 The Tutor lives in the pickleball box down on court 4. There is an extension cord ready to go at the north end of court 4. You'll need to plug it in at the outlet box. Please unplug it from the outlet when you're done. The outlet is not waterproof. There is a bucket of 40 balls in the box. 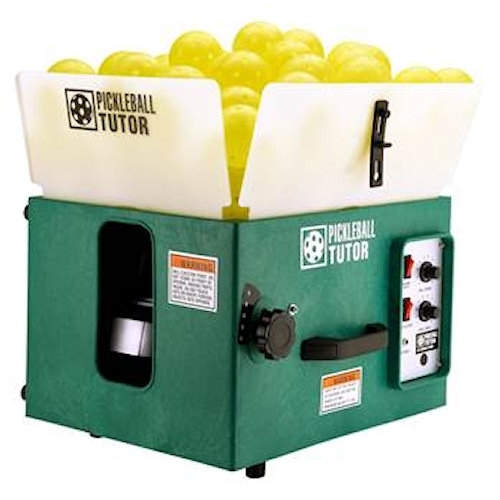 The Tutor will hold 125 balls. We'll be getting more. It works best with used uncracked balls. It is very easy to use. You just have to fiddle with the settings to get height, speed, trajectory and frequency right. Plan to waste a few balls doing that. 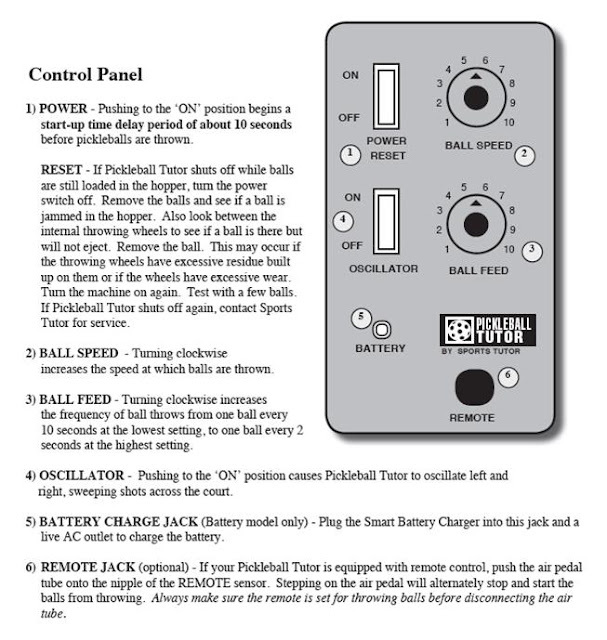 A good place to start is ball speed = 4, ball feed = 4, height = 4 (the adjustable knob on the front left side). Position the tutor about 2 feet back from the base line. 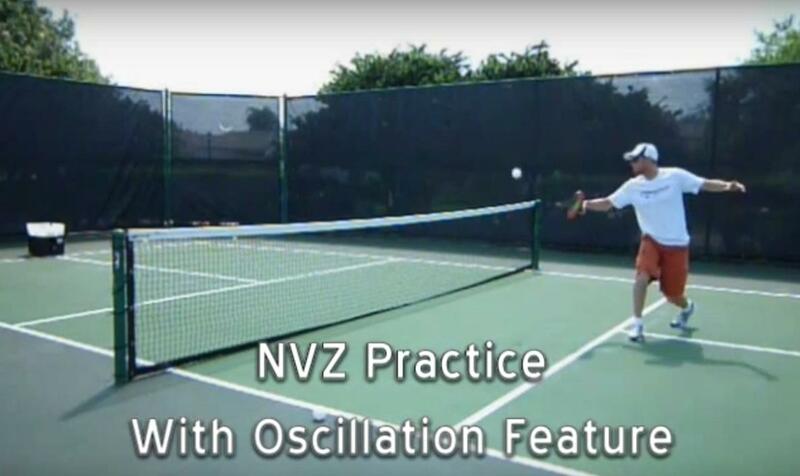 Start with oscillation off, add when you're ready. The tutor is remarkably consistent, but not perfect. Expect some variation from shot to shot. Occasionally balls may jam. Be sure the machine is off and the throwing wheels have stopped before you attempt to clear any jams. 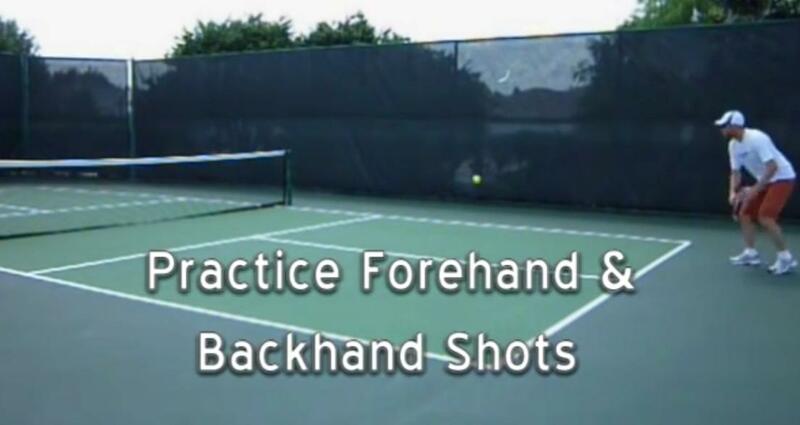 ... in order to practice forehand and backhand shots.